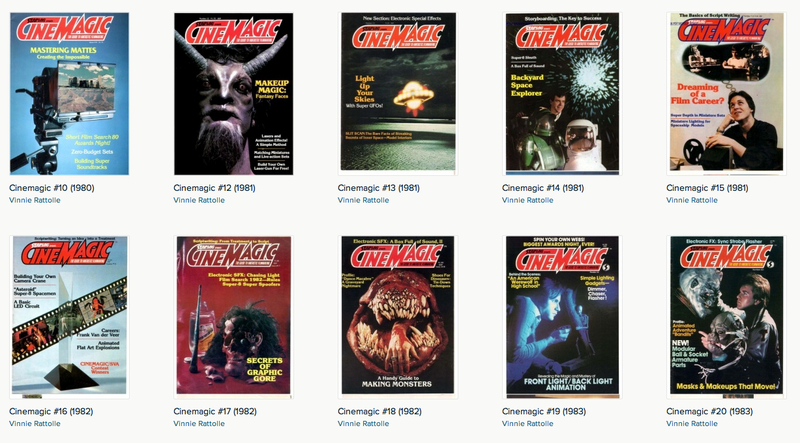 If you made super-8mm movies in the late 1970’s to early 1980’s, and loved visual effects, you read CINEMAGIC, originally created by Nightbeast director Don Dohler, and then helmed at Starlog press. (I remember calling David Hutchison and John Clayton to give me information on folks in the SPFX biz quite often). In these magazines you learned stop motion, rear projection, matte painting, foreground miniatures, and prosthetic makeup as low-budget as you could make it. It also allowed you to advertise your productions in a section of each issue. Mark Sullivan (famed matte painter who is also chronicled for his short Highrise — they have an entire article on it ) did so, as did I with a super8mm short named Stupidman2 (you will never be allowed to see it). Some intrepid soul has a majority of the Cinemagic collection online, including the typewritten and pasted original 1972 issue 01 (it has two issue 01). I still have my originals, dog eared and read into near pulp, as I hand-backwound 8mm cartridges to make double exposures in non-pin registered held takes. 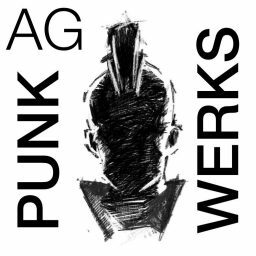 24 issues are there, with an issue that even chronicles early desktop computer graphics. So get your soldering iron out to design a circuit, your bike cables and hot glue to rig a mask, or those reduction lenses and half-silvered mirrors to build your own optical printer. We are making movies at home! I had some, simply awesome!!! Thanks for the tip! I had most of these back in the day! Ah, the days of running out of super-8 splicing tape and using scotch tape instead… That’s odd, my projector jammed again! I still have quite a few of these in mint condition. I put them in plastic bags after I was done thumbing through them. I miss the works of Don Dohler. Cheap, but fun to watch. 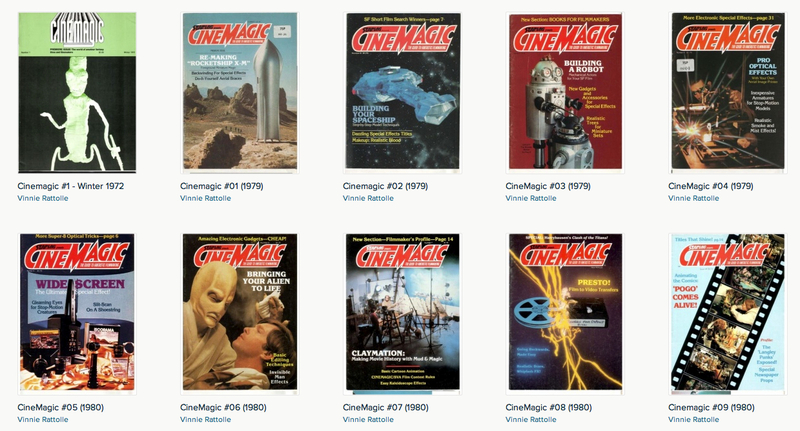 And learning how looking at these mags before I was even 10, awesome!